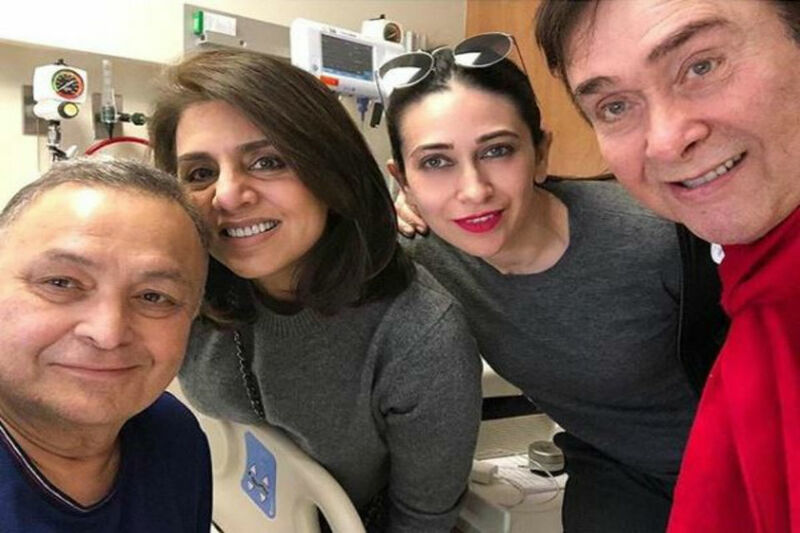 Bollywood veteran actor Rishi Kapoor left his fans and fellow celebrities in shock when he flew down to the United States last year for medical treatment. 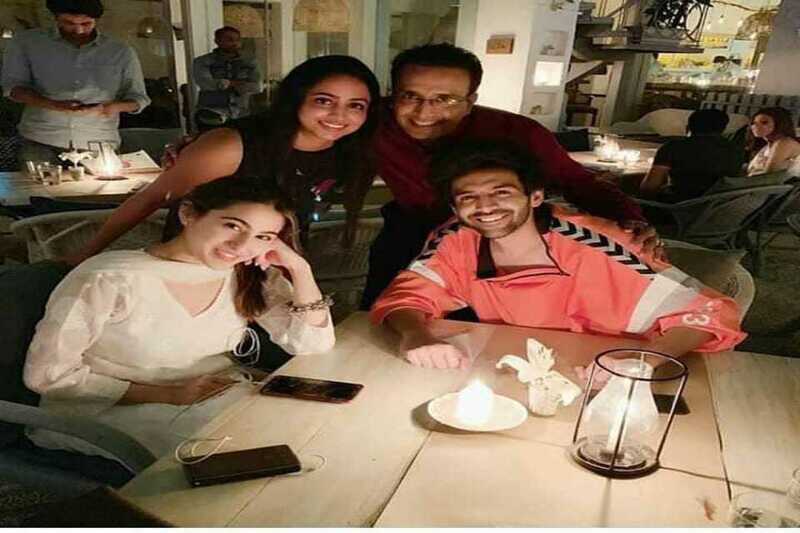 Rishi is often visited by his friends from B-town and recently his brother Randhir Kapoor along with his daughter Karisma Kapoor made their way to meet the veteran actor. On her Instagram account, Karishma shared an adorable family picture from her visit. 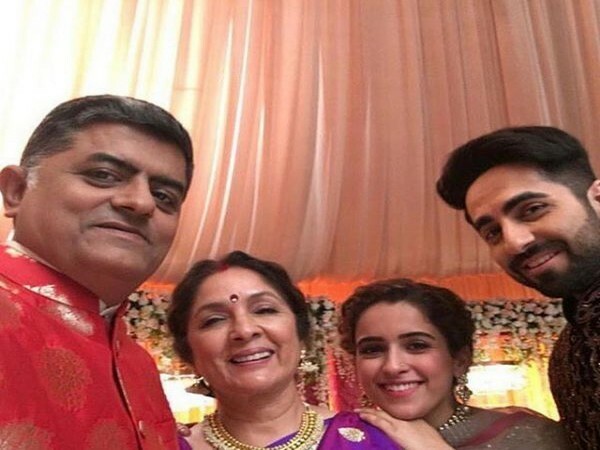 In the picture, Rishi can be seen all smiling with Randhir, Karisma, and Neetu in a hospital. Earlier in the day, even Neetu shared the same picture on her Instagram account, sharing the secret- the only topic of discussion between the Kapoor brothers is food. 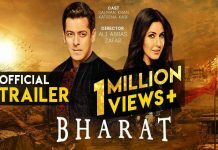 Meanwhile, the keen-eyed fans noticed that the photo appears to be taken inside a hospital ward with Rishi what looks like sitting on a hospital bed. 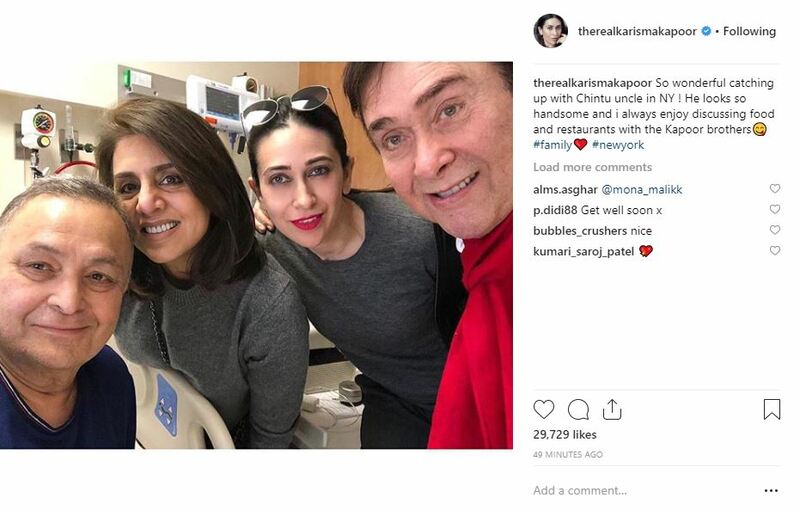 Since last year, Rishi Kapoor has been in New York to have medical treatment for an unknown health condition. 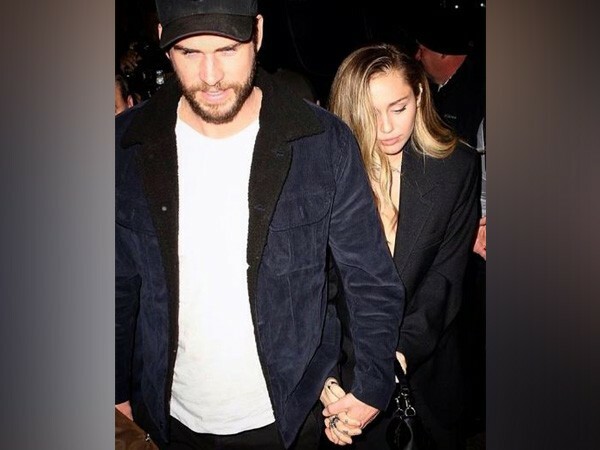 He shared the same on his Twitter account and added that he would be back soon. Rishi’s children Ranbir Kapoor and Riddhima, from time to time keep visiting him. 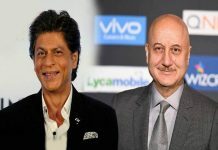 Over the past few months, several celebrities including Aamir Kha, Alia Bhatt, Anupam Kher, Priyanka Chopra, Sonali Bendre, Javed Akhtar, among others paid their visit to see the veteran actor. Neetu Kapoor, who is quite active on Instagram, keeps on sharing pictures from there. On the work front, Rishi Kapoor was last seen in ‘Mulk’ and ‘Rajma Chawal’.